The development of the logistics industry in Sri Lanka is a five-year endeavour that was defined through a consultative process between public and private sector stakeholders. Transforming Sri Lanka into a leading maritime, logistics and distribution hub in the Indian Ocean will depend heavily on the ability of the industry to implement activities defined in this Strategy. Stakeholders will need to coordinate actions, monitor progress and mobilize resources for Strategy implementation in order to achieve its targets. Implementation will succeed only if an adequate regulatory environment is fostered, and operational procedures and guidelines for provision of efficient logistics services are followed. Sri Lanka aims to transform into South Asia’s leading maritime, logistics and distribution hub to support the national economy. This will be achieved by fostering the right regulatory environment and implementing enabling procedures and guidelines for provision of efficient logistics services. 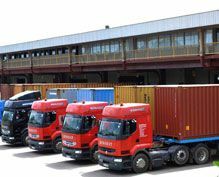 These actions will create the conditions for the private sector to lead development of the logistics sector, attract the investment needed to install the proper facilities across the country (cold storage solutions and multi-user facilities) and provide value added services through multi-country consolidation (MCC), less than container load (LCL) de-stuffing and commercial hub activities. While Sri Lanka is one of the major trans-shipment hubs in Asia, the logistics industry has not fully tapped the growing opportunities in trans-shipment and e-commerce. There is a unique opportunity to develop a world-class logistics hub and enter the global supply chain industry that is rapidly digitalizing and evolving with a new generation of consumers. Because it is situated on the main east–west and north–south shipping corridors that connect Asia to Europe and Africa, Sri Lanka has not diversified its business model to attract other types of ships and related services. The country is known mainly as a container shipping hub in South Asia. Over the five-year Strategy period, Colombo Port will be the major trans-shipment hub of South Asia. Sri Lanka will service all types of ships and provide ship-related services – for example, crew changes, supplying and replenishing victuals and water – through its network of major ports in the west, east and south connecting the international east-west shipping route and increasing trans-shipment business through its ports. 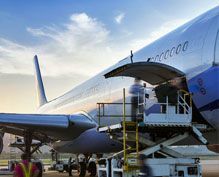 Modern technologies have transformed the logistics industry by facilitating trade-related operations and growing opportunities for intraregional markets, e-commerce and services for integrated connectivity. By encouraging large, medium and small global trading companies to use Sri Lanka as a major distribution hub for the Indian subcontinent and beyond, the country can become a connecting point for all of South Asia by providing business-to-business (B2B), business-to-consumer (B2C) and e-commerce services. 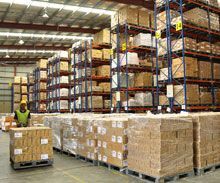 The potential lies in the development of entrepot trade, bonded warehouses or MCC logistics services, international buyer-seller consolidations and front-end services to clients, air/sea transfers and value addition services. Developing logistics is the best way to expand indirect export revenue and provide backward and forward links for industries that would expand export processing, trading and manufacturing in Sri Lanka. Becoming a multimodal logistics hub providing integrated services and facilities requires physical and information technology infrastructure to ensure a seamless flow from one mode of transportation to another. Currently, three terminals in Colombo Port and Bandaranaike International Airport (BIA) are already reaching maximum capacity. An underused rail network for transportation of reefer containers, limited availability of land and no proper cold storage facilities or infrastructure for storage and value addition services hinder export opportunities. 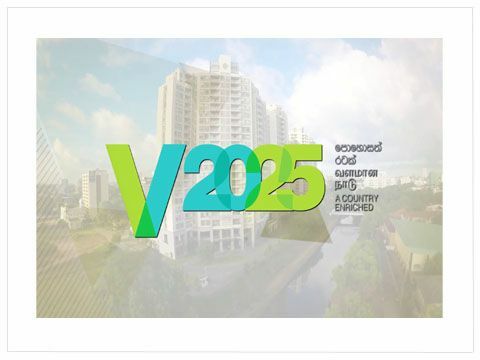 Allocating land and forming the ecosystem to attract more foreign direct investment (FDI) will create the conditions for the 1 Central Bank of Sri Lanka (2016). Annual Report 2016, chapter 3. 2 private sector to lead the development of cold storage solutions, multi-user facilities, LCL de-stuffing and commercial hub activities across the country.